This is the first part of a multi-post series all leading up to a grand, does-this-fit-together-anywhere-outside-of-my-heart-and-head post. 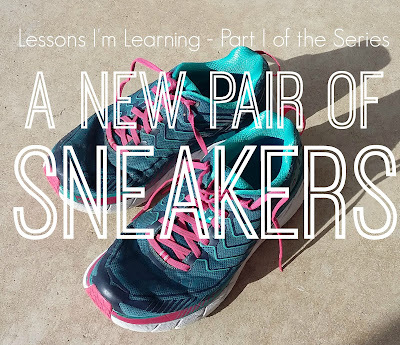 I'm calling the series "Lessons I'm Learning." For the most part I'm a barefoot kind of gal, especially in warm weather. I think it's great to walk around without shoes on but at the end of this past summer my feet looked horrible - hard, dry, cracked. No amount of soaking, sanding, scraping, or lotioning improved them. If I had an itch on my leg I could satisfactorily scratch it with my heel. You are either grossed out or laughing because you know exactly what I'm talking about. Travis insisted that my feet were becoming hobbit-like because I wasn't wearing proper shoes. Turns out flip flops and bare feet are not optimal for support and your body will compensate by sorta building up it's own support - calluses. He encouraged me to wear shoes every day, all day and see my feet improve. This was a challenge where I won either way: either I would be right or my feet would be less gross looking. Ergo, I dug out my sneakers and I started wearing them all day long. Not only did the cracks in my feet improve, I noticed that my knees and hips hurt less too. 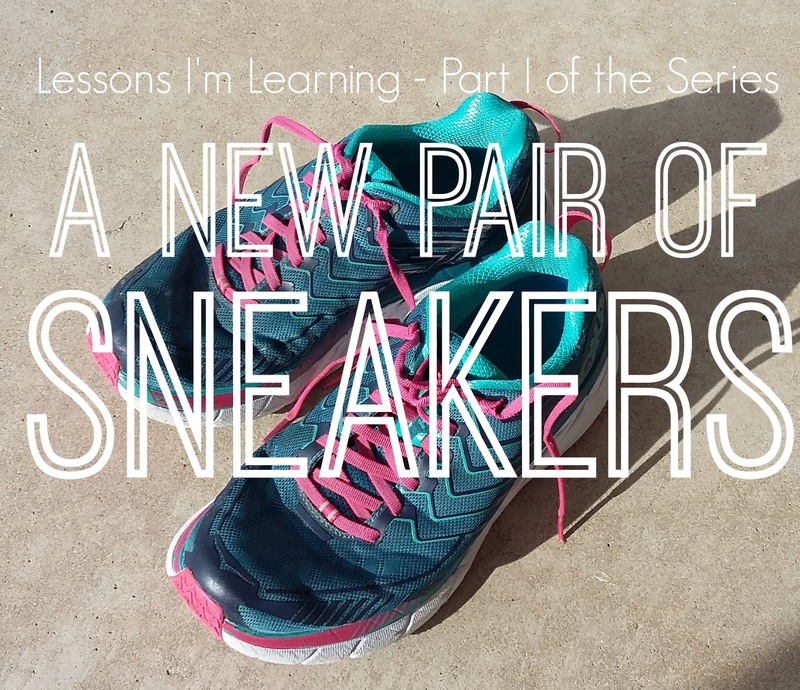 My feet are wide and two different sizes and so eventually my right foot started to consistently ache when I wore the sneakers. I told Travis about it and he insisted that I take $150 and go down to Running Central, a proper shoe store, to be fitted for sneakers that would *really* fit and work well for me. We had the money from a job he'd just completed and so I did. It was hard for me to give myself permission to spend that kind of money on myself but the pain in my foot was starting to shoot up my calf so I considered it a way to save on medical expenses down the road. They did all this diagnostic stuff, watching me walk and checking my pressure points and I told them that with tax I could not spend more than $150. I ended up getting Hokas and WOW they are amazing! They rock your feet forward - did you know you could get shoes that rock your feet, and therefore shift your weight, forward?! Who knew a good fitting shoe could make all of me feel so much better?! I didn't get the shoes because I was in pain or thought I deserved new, proper fitting shoes. I bought them so we wouldn't have to spend more in medical bills down the road. But getting those shoes, and really treating myself with respect, set the stage for some other things to shift in the way I look at myself and my life. Part II will come tomorrow. PS - In case you're interested, these are the shoes I bought, complete with my affiliate link. Yes, Bonnie! You deserve to take care of yourself. I'm glad your husband convinced you of this. And FYI... if you can stand socks on your feet when you sleep at night - coat your heels in coconut oil and that will help a lot. I do this in the summer when I wear nothing but flip flops. I was laughing. Been there. Eventually your body fights back. We moved a couple of years ago and I spent hours and hours packing, unpacking, painting, etc in my bare feet. And developed horrible plantar fasciitis. Dr. directed me to some shoe choices and said my bare feet were not to touch the floor for Three months. At the end, I was over the bare feet thing. I have to wear shoes all the time (when I am on my feet) because I have no arches. It is annoying in a way, but also, like you said, it will save my feet, legs, body in the long run from a lot of complications! I am glad that you found sneakers you love! 'treating myself with respect' WOW, that is a game-changing phrase for me, too. Thank you for sharing your heart, Bonnie. Love you.